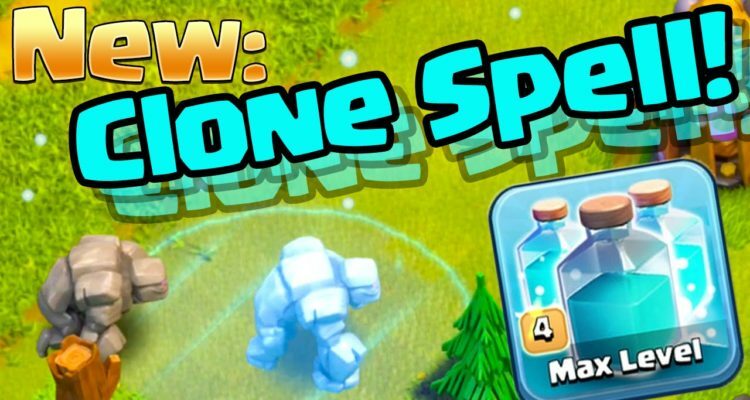 Clone Spell was first introduced in Clash of Clans in the end week of May 2016. 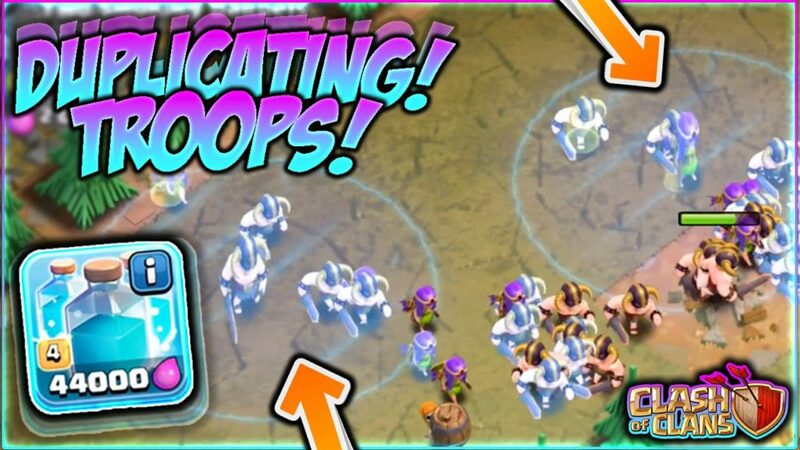 The Clone Spell actually creates multiple copies of troops inside its radius. 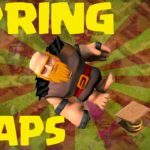 Just one troop is enough to produce replicates of itself for the housing space of the spell level. however, you can’t make a duplicate of heroes. 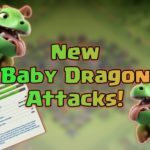 It can clone Golems, Witches, and Lava Hounds and after their death, they will split into their sub-troops (Golemites, Lava Pups etc) even in the clone status. 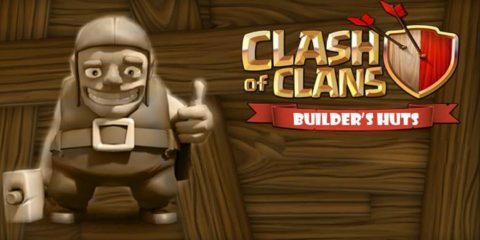 But for cloning big troops such as P.E.K.K.A, Golem, and Lava Hounds you will need at least level 3 Clone spells, so if you are a fan of Clone Spell you must give priority upgrading this spell. Further, the Clone Spell occupies a housing space of 4 Spells which is twice than the other majority Spells. Despite having too many advantages there is one major disadvantage of carrying this spell i.e the spawned replicas have limited life meaning that they will only summon for some time. You can use a level 3 or 4 Clone Spell on a low HP near to death Golem and it will spawn a Golem of similar level and full HP. 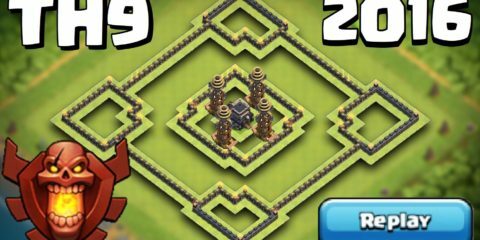 Clone Spell can also clone sub troops and in the case of mass Witch attack, it can come quite handy. Use the cloned units as a meat shield for the original troops as the cloned troops won’t last that long. Eagle Artillery doesn’t activate on cloned spawned units. 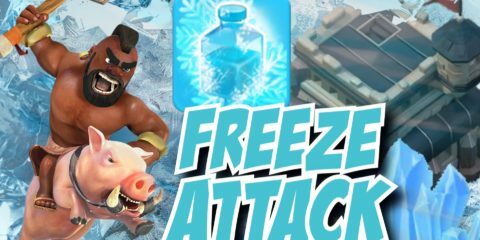 You can use GoWiVa and LavaLoon attacks with Clone Spells which may yield some pretty good results. Don’t forget that it cannot clone Heroes ( Barbarian King, Archer Queen, Warden).